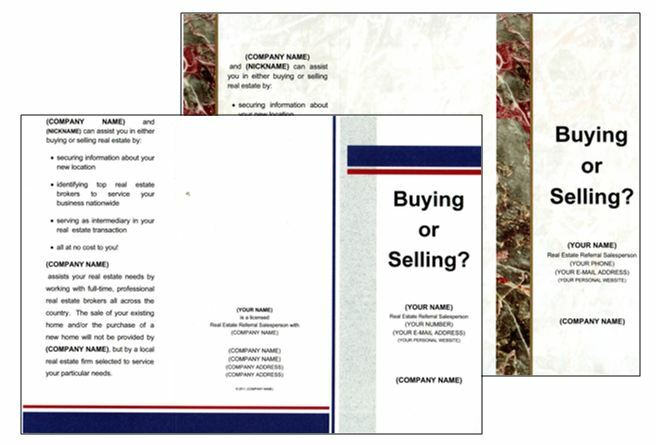 Because all of these items are considered “advertising” by your state real estate licensing authority, all materials have to be approved by us as your principal broker before they can be used. By utilizing these items below, you know that they are in compliance with state rules and regulations. Printed Marketing (CLICK HERE) tools include business cards, brochures, note cards and announcement cards. Used by themselves or in conjunction with our Electronic Marketing Materials, they can assist you in keeping your name visible to family, friends, co-workers, and other potential referral leads. They can also help you explain the referral process. 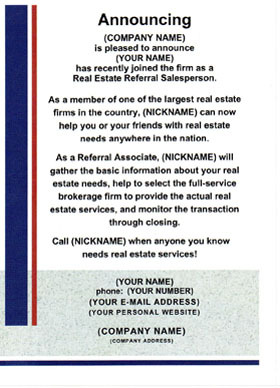 Electronic Marketing (CLICK HERE) options will include a personal web page and the ability to have an e-mail account using: YourName@referralcenter.net. 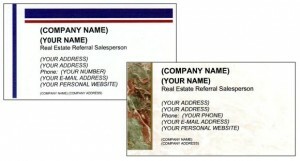 We offer Business Cards, Marketing Brochures, Announcement Cards, Note Cards and Member Webpages. As a benefit of your association with us, we provide you with a Membership Certificate each year when you pay your annual membership fee. 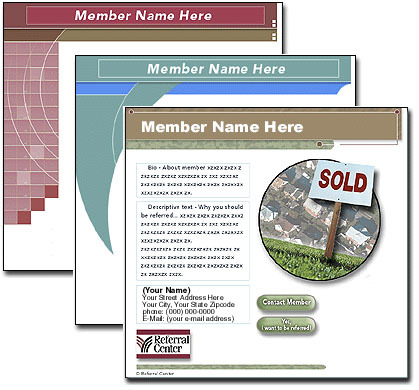 The Membership Certificate can be redeemed for a number of items, including discounted marketing materials. If you have not yet redeemed your Membership Certificate, CLICK HERE for more information on your options.